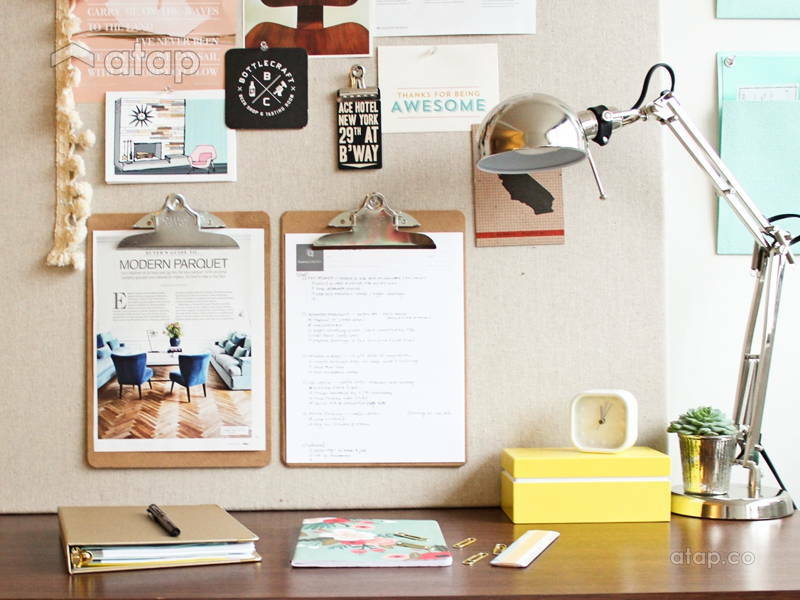 Study your way to greatness with these tips on creating an ideal study room. We show you how to whiz through Trigonometry and Media Studies with the perfect study room. Forget skipping classes, missing homework, and sleeping through lectures. This year’s hottest trend? Putting in effort. Home Design 101: pick a theme. We like the non-intrusive nature of neutral colours as they allow you to pay full attention to your books, but don’t be afraid to spin that colour wheel! 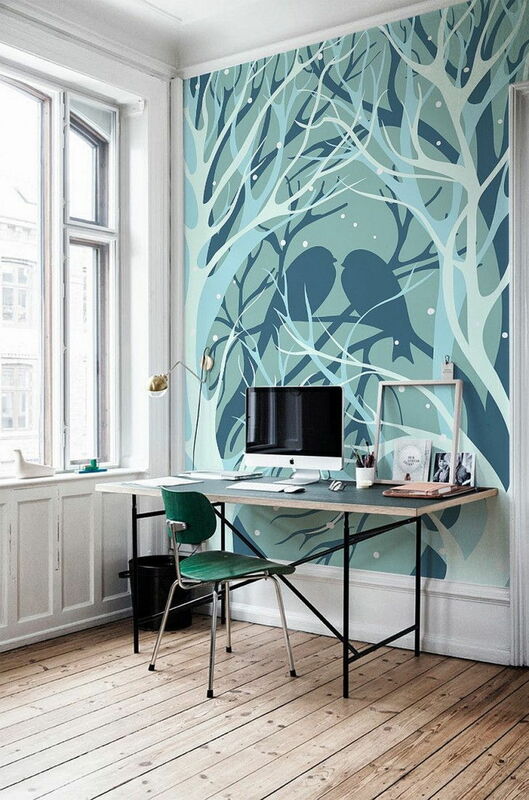 Complement your personality and paint with colours such as blue for calm and tranquillity, green to stimulate productivity, and red or yellow for a burst of energy. 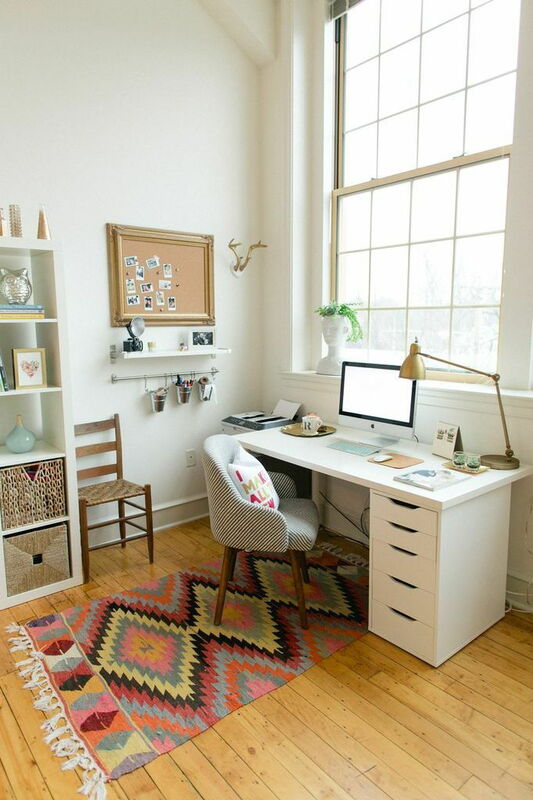 If your desk allows you to look out a large, picturesque window…woohoo! Windows also give the impression of a wider space so you don’t feel trapped. 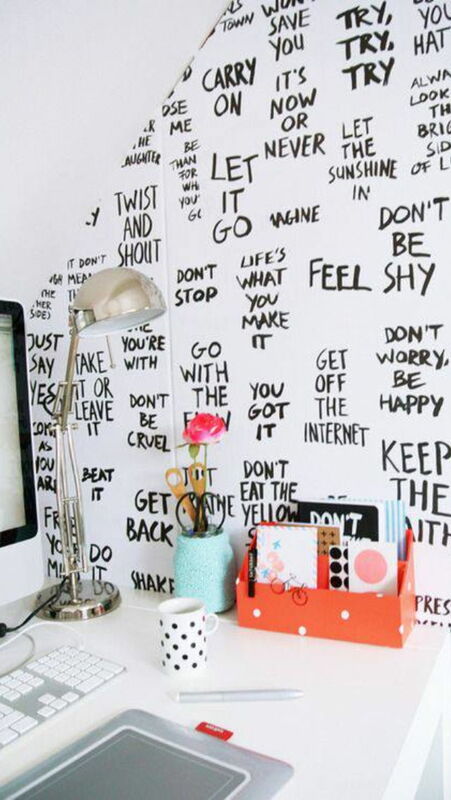 Otherwise, a motivational wall filled with inspiring quotes and pictures does the trick too. We love whiteboard and chalkboards which you can update as the school season shifts from fresh and hopeful to desperate and regretful. Fill your study room with scents that can improve your mood and energy. Lavender and jasmine soothe frazzled nerves the night before a big test, while peppermint, lemon, rosemary, ginger, and cinnamon can invigorate and boost concentration. Don’t forget a potted plant or two! These improve the air quality in your study room while reducing stress.Check out these plants that purify the air. Natural light is best light. Otherwise look for lamps that provide even, adequate lighting without casting shadows or creating glare. If you get a desk lamp, place it on the opposite side of your dominant hand. Science also tells us that warm environments make us happier and more productive, so turn the air conditioning down. 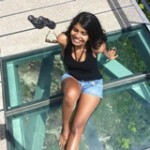 Within reason, of course – don’t sweat it! We’re not saying style is irrelevant (as if! ), but think of your comfort and usage first. Your chair should allow you to sit with your feet planted firmly on the ground and your knees bent at a 90-degree angle. To determine the correct height for your table, sit before it with your arms at a 90 -degree angle. You should be able to rest your arms comfortably on the table. Ideally, there should be about 8 inches of space between your chair seat and table. The wrong height will put pressure on your knees and hips. And also, you know, be really uncomfortable. Find a chair that provides adequate support for your arms and lumbar region. If it’s one of those fancy chairs with adjustable reclining positions, make sure you’re able to reach your work without straining your eyes, arms, or shoulders. Pro-tip for the petite: Make sure your seat is not too long, forcing you to perch on the edge like a small, unhappy bird. There should be no more than 4 fingers’ distance between the back of your knees and the edge of your seat. If you’re using your table for computer work, we also suggest getting a keyboard tray that brings your keyboard closer to you thus reducing the strain on your wrists and arms. Your screen should be eye level, so consider investing in a desktop computer or an adjustable stand that will elevate your laptop. Your table should give you enough space to write, use your computer, refer to textbooks, and eat some well-deserved chicken nuggets at the same time. 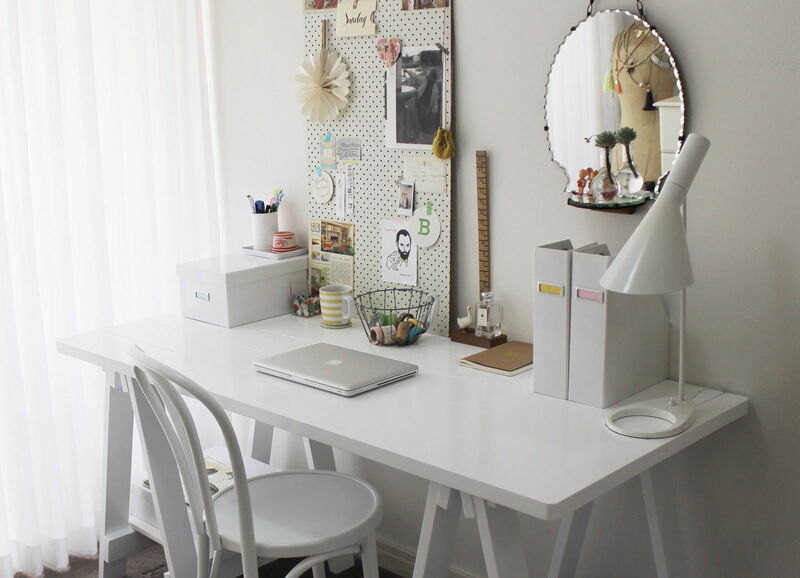 Where will your study room be situated? 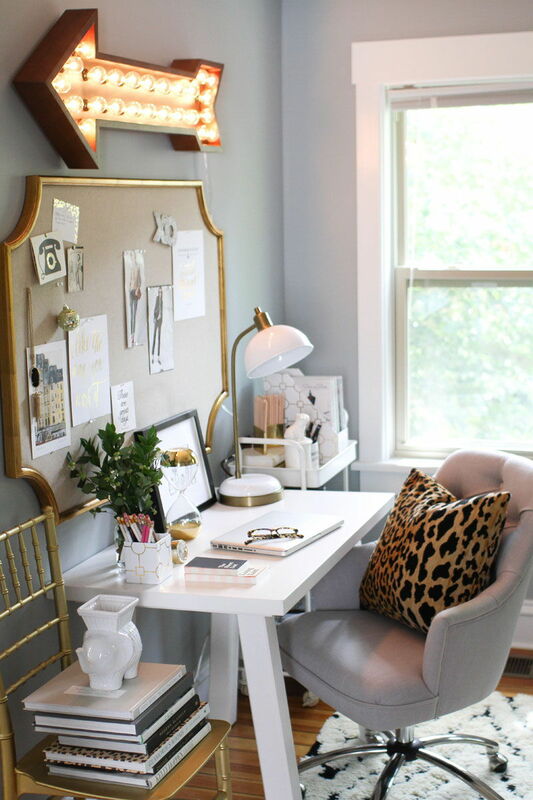 A long, narrow desk is great if you’re squeezing it into an existing bedroom or living area, but we recommend L- or U-shaped desks if you’ve got the space to spare. These separate different study needs – drawing, sewing, presentation work, etc., allowing you to concentrate better on the task at hand. If you’re a design student, consider a slanted table. 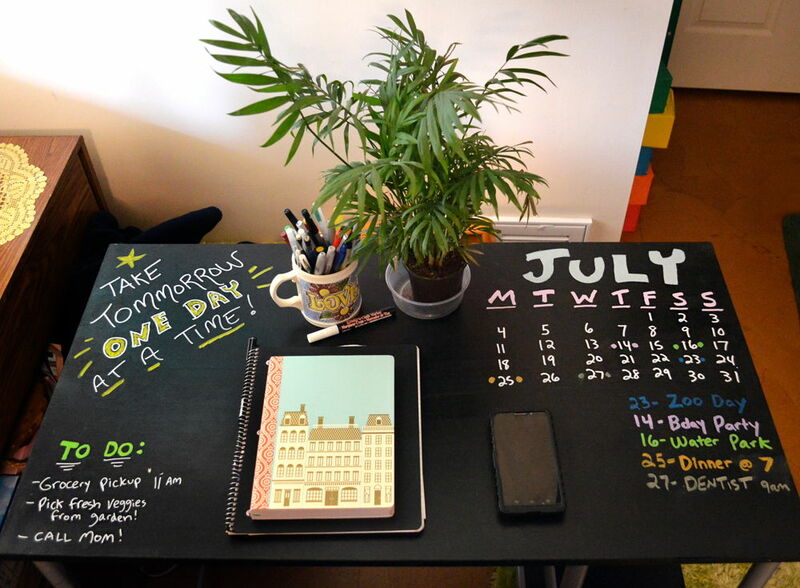 We also love dry-erase and chalkboard tables – practise your sums and pen strokes on an erasable surface, and save the environment (and your energy) in the process! 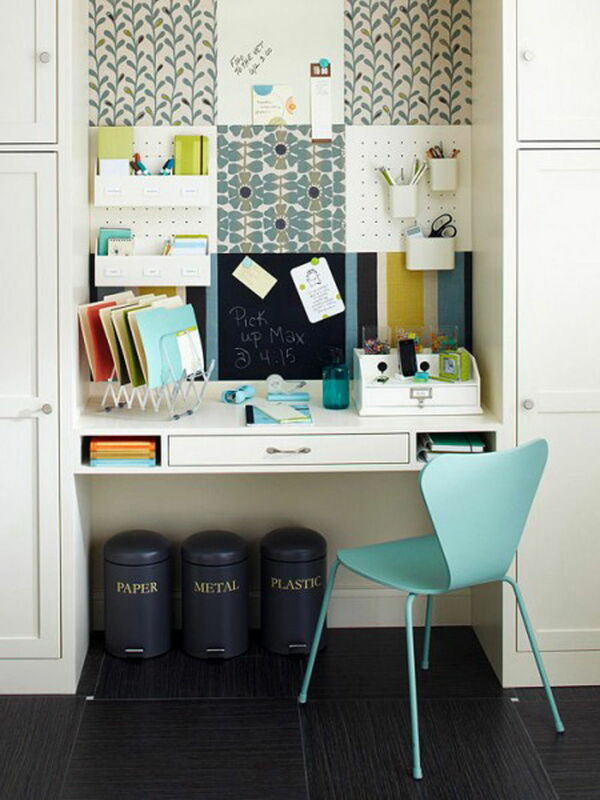 Other than support, chairs are a great way to inject a pop of colour and design into an otherwise Spartan study room. Jazz them up further with patterned cushions and pillows. If your course requires a lot of reading (hello, law students! ), we also suggest setting up another area – window nook, comfy armchair, take your pick. You can improvise with a laptop pillow to rest your textbook on for highlighting and underlining. Don’t forget space for your books and school supplies! 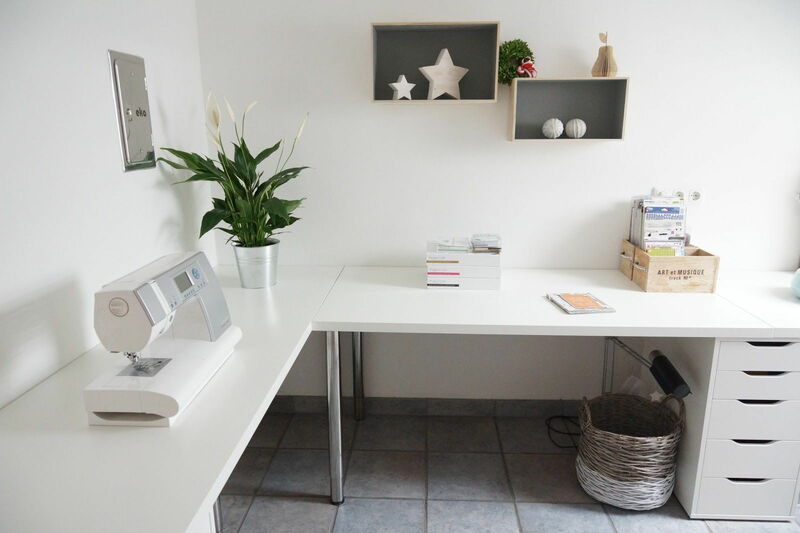 A clean, tidy work space helps you concentrate on the things that matter. Keep in mind that your items should be close enough that you can reach for them without getting up, while also far enough that they don’t intrude on your study area. Open and concealed storage solutions both have their merits: the former provides easy access and the latter keeps your space visually clutter-free. Weigh your options (and your shopping list!) before you decide.